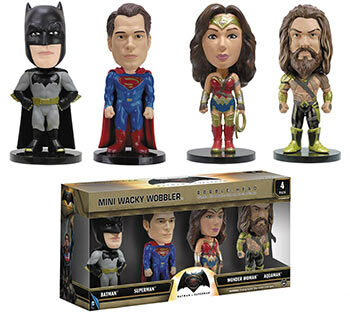 BATMAN VS SUPERMAN MINI WACKY WOBBLER 4PK SET FUNKO Batman, Superman, Wonder Woman and Aquaman stand tall – approximately 3″ tall – as a set of stylized vinyl Wacky Wobblers based on Zack Snyder’s blockbuster film, Batman v Superman: Dawn of Justice. Window box packaging. From superstar writer and artist SKOTTIE YOUNG (Rocket Raccoon, Wizard of Oz, Fortunately, The Milk), comes the first volume of an all-new series of adventure and mayhem.An Adventure Time/Alice in Wonderland-style epic that smashes its cute little face against grown-up Tank Girl/Deadpool-esque violent madness. Follow Gert, a forty-year-old woman in a six-year-old’s body, who has been stuck in the magical world of Fairyland for nearly thirty years. 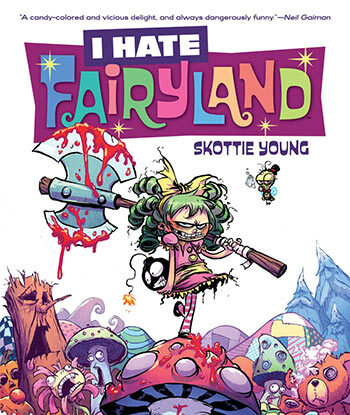 Join her and her giant battle-axe on a delightfully blood-soaked journey to see who will survive the girl who HATES FAIRYLAND. 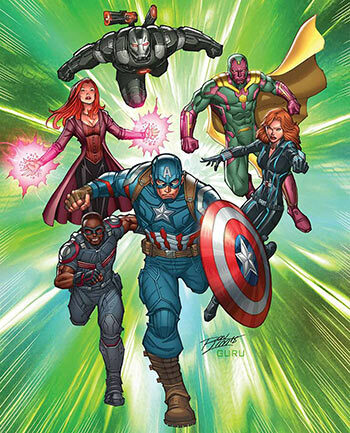 Two of the biggest titles in comics collide in the first crossover of the new Marvel age of STAR WARS! When Darth Vader accidentally finds himself facing off against the rebel fleet on his own, he is sent crashing onto a nearby planet. Will the rebels seize this opportunity to put an end to one of their greatest enemies – or will they be made to feel the full power of the dark side? The Sith Lord may be down, but he isn’t out! 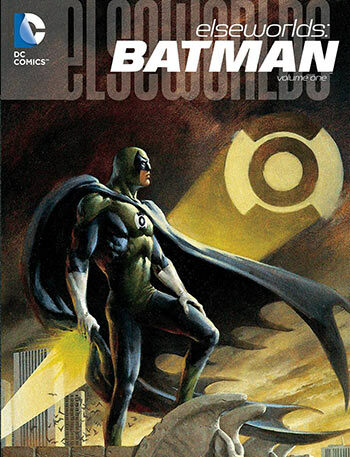 All your favorites are here, old and new, good and evil: Luke! Vader! Leia! Aphra! Han! Threepio, Artoo, Triple-Zero and BT-1! And in a hair-raising battle of the Wookiees, Chewbacca versus Black Krrsantan! ROOOARRGH UR ROO! 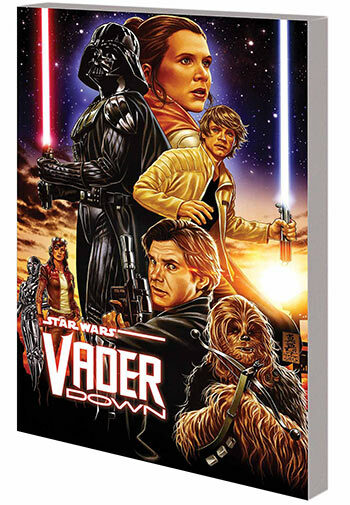 Collecting STAR WARS: VADER DOWN, STAR WARS (2015) #13-14 and DARTH VADER #13-15.